Product prices and availability are accurate as of 2019-04-18 15:33:39 UTC and are subject to change. Any price and availability information displayed on http://www.amazon.com/ at the time of purchase will apply to the purchase of this product. Author Bookstand is proud to offer Pride of the Panther 5 (2018) by Bookstand Publishing. Pride of the Panther 5 (2018) has generated a lot of interest and excitement and we think it would be an excellent addition to your library. The dynamic and diverse students of Frank D. Paulo Intermediate School 75 have banded together once again, in 2018, to present a showcase of artistic and written expression. 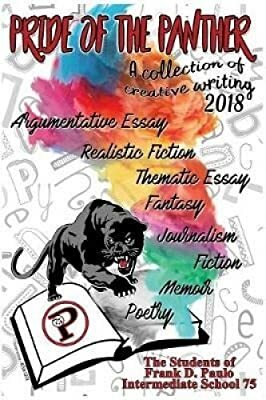 This illuminating anthology contains marvelous artwork, powerful poetry, scintillating short stories, and insightful essays that will capture your imagination. Each artist and writer has a unique and important message to send to the world. May this humble text ignite an eternal spark within all of our students -- a spark for learning, a spark for generosity, and a spark for serving mankind in the very best of ways.